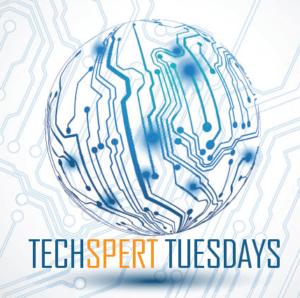 TECH-SPERT TUESDAY: Are you Managing IT, or is IT Managing You? 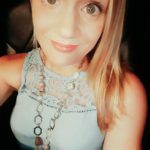 Home / Blog / TECH-SPERT TUESDAY: Are you Managing IT, or is IT Managing You? Technology is an amazing thing, when it works as intended. I think we all can agree on the fact that when it doesn’t work as intended, it can leave us cursing the very thing we normally praise. It can launch us into unparalleled productivity or it can set us back, it can exponentially increase our income or it can end up costing us a serious amount. To explore this idea a little more, let’s discuss something we’re all familiar with, Chip Card Technology. Credit and debit cards these days now feature a small chip in addition to the more traditional magnetic strip for swiping. According to Bank of America, the main benefit associated with using a chip card is that it creates an additional level of security against identity theft. It’s a great feature and it’s easy to adapt to using it…when it’s working as intended. Mine recently stopped working as intended, which meant EVERY time I needed to pay for something, I had to attempt inserting my chip 3 times before it would finally allow me to go ahead and swipe the card. Once I was able to swipe it, it worked fine, but the benefit of that added level of security no longer applied. So much for an advance right? The first thing that comes to mind is, so what!? Just order a new card. Not to worry – I did, but it got me thinking; what about when the solution isn’t as easy as “ordering a new card?” What happens when we have a much more complicated / expensive system which works wonders, that all of a sudden STOPS working as intended. What happens when we can’t just order a new one, or when our entire business depends on that system working as it’s intended? “Well, we just have our in-house IT team handle it.” Unfortunately, it usually isn’t that simple and depending on the company and technology – it may not even be something they are able to handle. We have said it a million times and will say it a million more – this is why Managed IT Services will always be superior to having an in-house IT team. The overhead cost of hiring, training and maintaining a full-time in-house IT staff that are qualified and experienced, plus the latest equipment, can be very expensive. In addition, most of the time these teams are not thoroughly equipped to handle the wide range of issues that can arise with the latest technology. Unfortunately, we’ve experienced this crisis time and time again. Clients come to us in a panic. We can’t stress enough how important it is to have a reliable IT team dedicated to managing your systems around the clock. A lot of times the companies tell us that they have “an IT person” who usually comes in on an “as needed” basis. We want to shout from the rooftops for everyone to hear, do NOT make this same mistake. Think about it, even something as simple as not being able to remotely connect to a resource or cloud application could really end up cutting into your productivity and profits. SON Technology’s Managed IT Services ONLY focus is keeping you up and running, safely. We are prepared for all scenarios and constantly training on the latest technological developments and threats. We are very proud of the experience level of our staff but that doesn’t stop us from constantly learning. Prevention is always best and we are always strictly monitoring your systems to prevent problems from arising. Should a problem sneak through, we have the latest equipment and tools necessary to address it quickly and efficiently. We actually SAVE our clients money in the long run as well. Thankfully most companies are waking up to the fact that they can hire an outside company to either supplement their internal IT department or even to handle it all for them. Not only does it take immense pressure off of the business owner, and saves them valuable time. Time is money. There are a few different things to look for when trying to find an effective company that will be able to provide you with optimum Managed IT Services. They should be able to provide you with remote monitoring, network management, server management, desktop management, as well as an IT helpdesk. Our clients come to us time and time again, to express their gratitude for the level of service we are able to supply them with and the amount of money we are able to save them! We look forward to doing the same for you. Contact SON Technology for a FREE evaluation! Located in Lake Mary, Florida, we work with businesses across the U.S. and in Central Florida in Orlando, Altamonte Springs, Apopka, Casselberry, Lake Mary, Longwood, Maitland, Mount Dora, and Winter Park, to make sure their IT systems are efficient, reliable, and cost effective. Contact us at 407-936-220 or online to make sure you have a reliable team dedicated to ensuring your business runs smoothly, efficiently and safely!